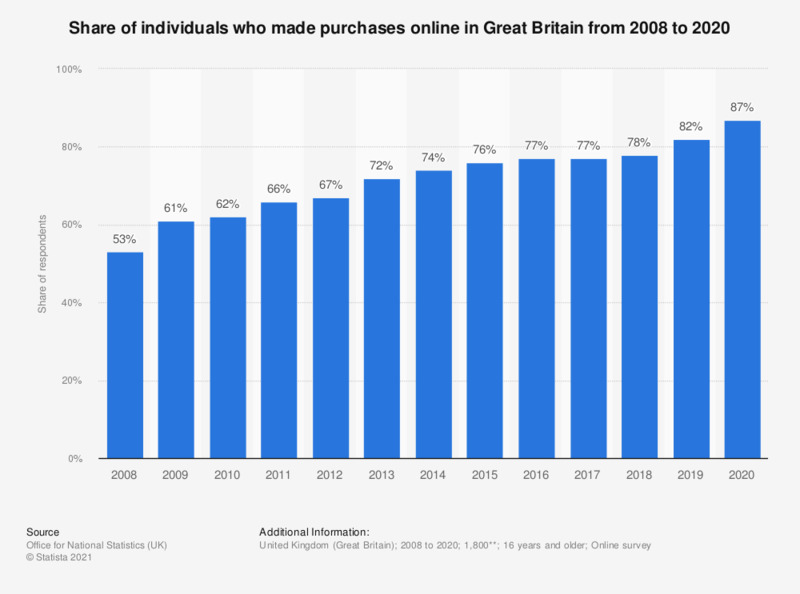 This statistic displays a timeline of online purchasing take up in Great Britain from 2008 to 2018. In 2018, 78 percent of polled Britons made purchases online. This is greater penetration than in 2008, when 53 percent of individuals made purchases online. Online purchasing in 2015 was most common among those aged 16 to 24 and 25 to 34, at 90 percent penetration. Do you use online dating sites or specialized dating apps?